Kazuo Ishiguro is the author of five previous novels, including The Remains of the Day, which won the Booker Prize and became an international best seller. His work has been translated into twenty-eight languages. In 1995 he received an Order of the British Empire for service to literature, and in 1998 was named a Chevalier de l’Ordre des Arts et des Lettres by the French government. He lives in London with his wife and daughter. "A clear frontrunner to be the year’s most extraordinary novel." miniature. . . . Ishiguro spins a stinging cautionary tale of science outpacing ethics." "Perfect pacing and infinite subtlety. . . . That this stunningly brilliant fiction echoes Caryl Churchill’s superb play A Number and Margaret Atwood’s celebrated dystopian novels in no way diminishes its originality and power. A masterpiece of craftsmanship that offers an unparalleled emotional experience. Send a copy to the Swedish Academy." "Elegiac, compelling, otherworldly, deeply disturbing and profoundly moving." "Brilliant . . . Ishiguro’s most profound statement of the endurance of human relationships. . . . The most exact and affecting of his books to date." 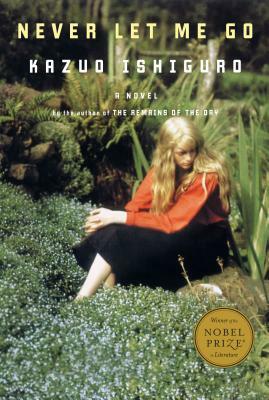 "Ishiguro’s elegant prose and masterly ways with characterization make for a lovely tale of memory, self-understanding, and love." "Ishiguro’s provocative subject matter and taut, potent prose have earned him multiple literary decorations, including the French government’s Chevalier dans l’Ordre des Arts et des Lettres and an Order of the British Empire for service to literature…. In this luminous offering, he nimbly navigates the landscape of emotion — the inevitable link between present and past and the fine line between compassion and cruelty, pleasure and pain." "His books are Zen gardens with no flowery metaphors, no wild, untamed weeds threatening — or allowed — to overrun the plot." "A writer of Ishiguro’s intelligence, sensitivity and stylistic brilliance obviously offers rewards." "Kazuo Ishiguro distinguishes himself as one of our most eloquent poets of loss." "Ishiguro is a stylist like no other, a writer who knows that the truth is often unspoken." "One of the finest prose stylists of our time." "Ishiguro shows immense tenderness for his characters, however absurd or deluded they may be." "[Ishiguro is] an original and remarkable genius."